Life is Strange 2 has arrived at last, a full 3 years after the premiere of the original series. Though it might appear very familiar with its faux youth dialogue and counter-culture influences, fans will probably find at least a few shocks along their way through the first episode: “Roads”. When DONTNOD‘s Life is Strange first emerged onto the scene back in 2015 it arrived as a welcome surprise. Charmingly cheesy and yet surprisingly heartfelt, the game was a major breath of fresh air that countered itself nicely to Telltale’s dominance of the format at the time. As mentioned at the top, Life is Strange 2 does share some commonalities with its forebear. For example, if you’re a fan of those calming segments in the game, where your main character just sits and has a think about things while the sun sets over a nearby vista, then you’re going to get along with this sequel just fine. However, if you’re expecting more high school drama and teenage angst from this round of the series than you may find yourself sorely disappointed. Though the game does have a clever fake-out early on which suggests that this is exactly where Life is Strange 2 is going, a welcome twist flips this idea well on its head before you have a chance to get too comfortable. 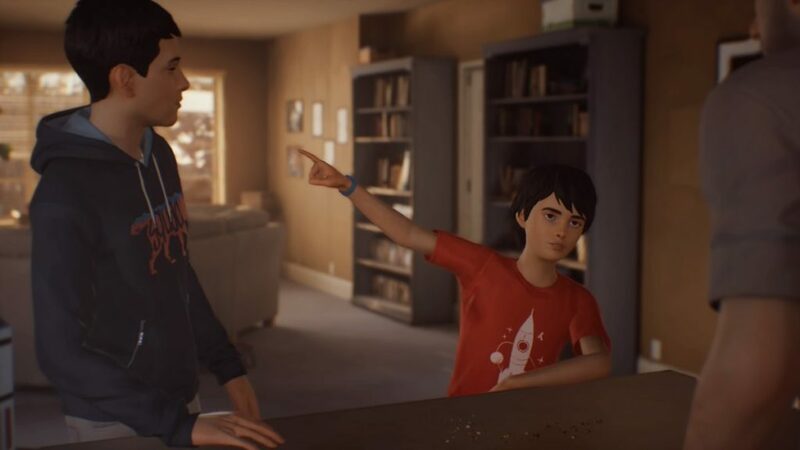 For those of you who haven’t been following the game leading up to its release, Life is Strange 2 focuses on Sean and Daniel Diaz, two brothers who find themselves in dire straits after an altercation with a neighbor goes horribly awry. 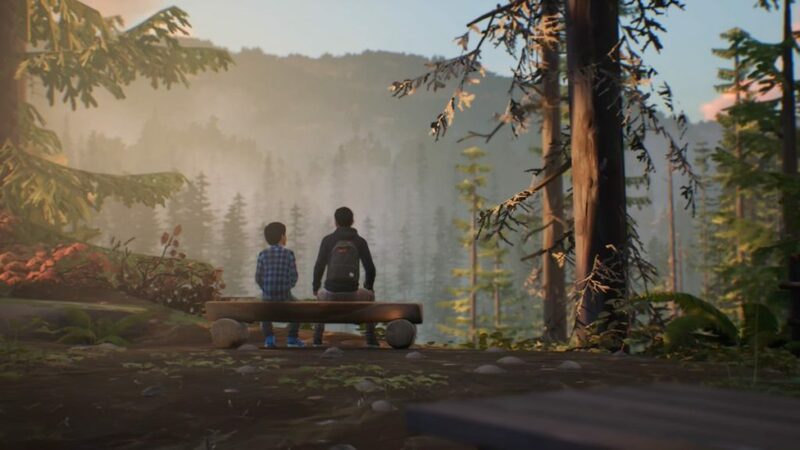 As trailers and promotional art have suggested, the main crux of the story is a road trip where you, as Sean, are responsible for taking care of both yourself and your brother Sean. This focus adds many elements to the Life is Strange formula. Most importantly you will be influencing how Daniel develops as a person, including whether he trusts you and how he views right and wrong. What’s interesting about this element, however, is that early choices that you think may help you gain the moral high ground can have very real consequences once you’ve hit the road. The obvious “good” choice isn’t always going to be the best one for your situation, and that shakes things up a smidge more this time around. Another new consideration is the fact that you have to budget for your trip, making sure that both you and Daniel are taken care of with the limited money and resources available to you. 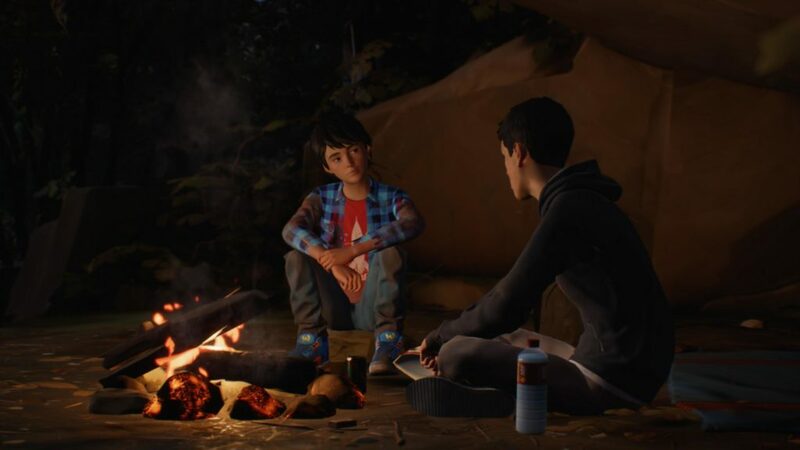 This further cements Life is Strange 2 as a story of its own, more interested in forcing two young men to face the very real pressures of adult life, rather than the more fantastical aspects of solving a high school murder mystery that the original game focused on. Of course, many of you may be wondering if this game also includes a supernatural element, like the first game. Don’t worry, I’ll cool your jets long enough to let you know that this X-Men lite aspect is also included here, though it seems to be a bit less of a focal point in the first episode. This is mainly due to the nature of the new ability the Diaz brothers are reckoning with, which I won’t spoil, other than to say that it’s very different from Max’s time-altering powers. Also, like Life is Strange, and its prequel Before the Storm, Life is Strange 2 does indeed concern itself with very prescient and real issues in our society which are not just of relevance to the characters but are currently affecting the United States, North America, and the world. In case you hadn’t guessed, the Diaz brothers are indeed of Latin descent. More specifically they’re Mexican, and if you can’t guess how important that distinction is in this day and age, then you probably haven’t been catching much of the news over the last couple of years. Though this aspect of the game isn’t shoved down your throat, it does color how the brothers are viewed from time to time, particularly in an angry conversation with a fellow who definitely would have swung right in that last election. 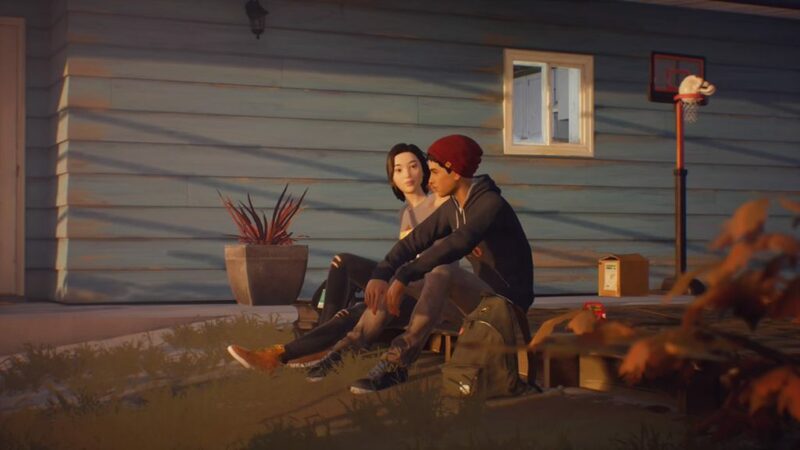 Whether you appreciate inclusions like these in your escapism is largely dependent on why you come to a game like Life is Strange 2. Though additions of this nature are becoming increasingly divisive in a society where everything from your choice of coffee to the shows you watch can be considered a political statement, the casual way that this first episode forces you to reckon with being Mexican from time to time in your already challenging scenario is a worthwhile consideration for this type of story. As a coming of age tale, a narrative trope which this series has been well and truly entrenched in since its inception, ugly elements like racism, prejudice, and suspicion are the sort of grounding attributes that allow you to take this story seriously, and relate to its protagonists all the more. Though it’s early on yet, and Life is Strange 2 still has plenty of story left to tell, “Roads” is a welcome addition to the franchise. Offering a very different focus from its progenitors allows it to more closely reflect the times we’re living in and begin a story which is not just worthwhile but genuinely intriguing. If you’re a fan of narrative games, then this one is well worth your time. More succinctly, if you’ve enjoyed what this series has done so far, then you won’t need any more convincing than that. Either way, Life is Strange 2 may not be exactly what you’re expecting, but its all the more impressive for that as it makes its debut.